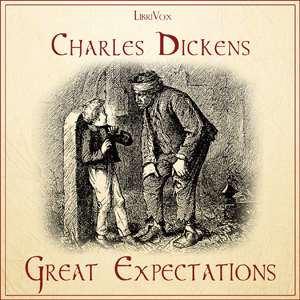 Listen to "Great Expectations" on your iOS and Android device. Great Expectations is written in the first person and is virtually a fictional autobiography of “Pip” from his childhood, through often painful experiences, to adulthood. It charts his progress as he moves from the Kent marshes - his social status radically changed having gained an unknown benefactor - to busy commercial London. Epic novel. Fantastic narration. I'm in awe of Dickens' mastery in story telling. Great Expectations exceeded my expectations! I enjoyed both the novel and the narration. Usually I check the sound quality of the narration before I use a credit, but this time I did not have time before travelling. I would have preferred a British narrator. I liked Mark Smith's rendering for Jo; not so much for Pip. "This is a LibriVox recording. All Librivox recordings are in the public domain.... " At the beginning of every chapter the narrator must specify LibriVox? If all LibriVox recordings are in the public domain, why did I have to use one of my paid credits? LibriVox. Prior to every chapter. Why? At age 58, I'm finally getting into the great books! For those my age, I think you'll embrace this story (and stories like it) while simultaneously comparing it to your own life. Bottom line ... an enriching experience! Narration well done.